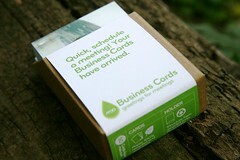 We recently used Moo to get some really nice self-designed cards made, and were really happy with the quality. Here’s a 10% discount you can use as a new customer, if you like – the equivalent of entering TPX88K as a promo code in the checkout process. You are currently browsing the AXONomics weblog archives for August, 2011.